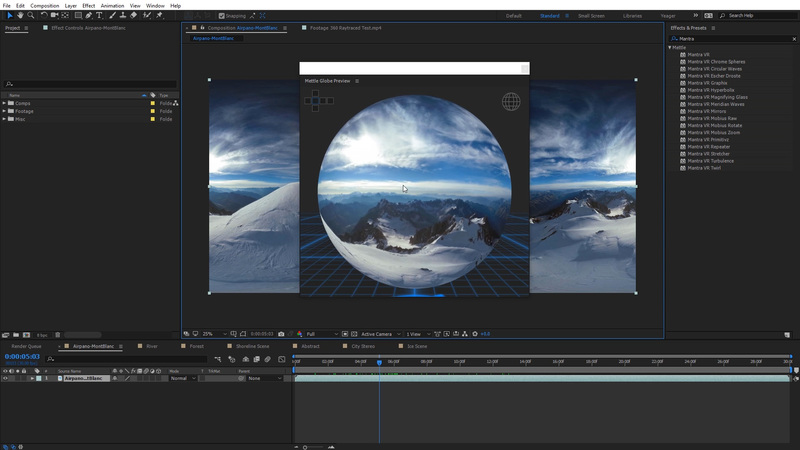 What’s new: 3 new modules that will change the way you work on Cinematic 360° production in Adobe After Effects. We support more 360° formats. And we now offer Monoscopic and Stereoscopic support. 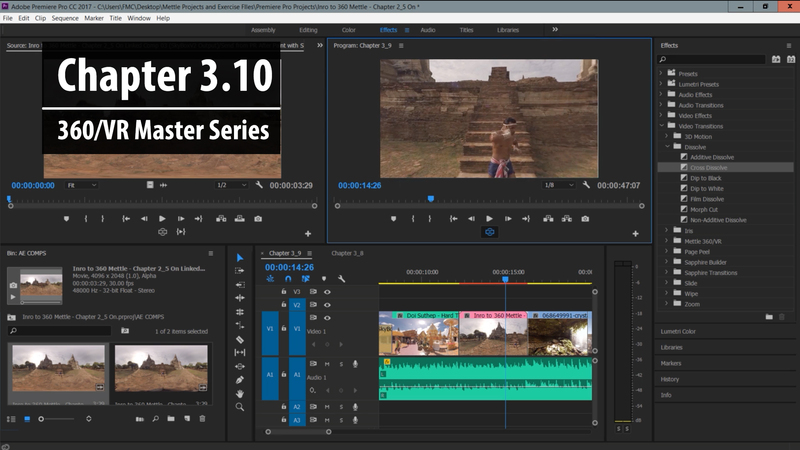 It is a $99 upgrade from earlier versions of the plugin. If you purchased SkyBox Studio Version 1 after Nov. 8th, 2016, go through our support page to get your free upgrade. 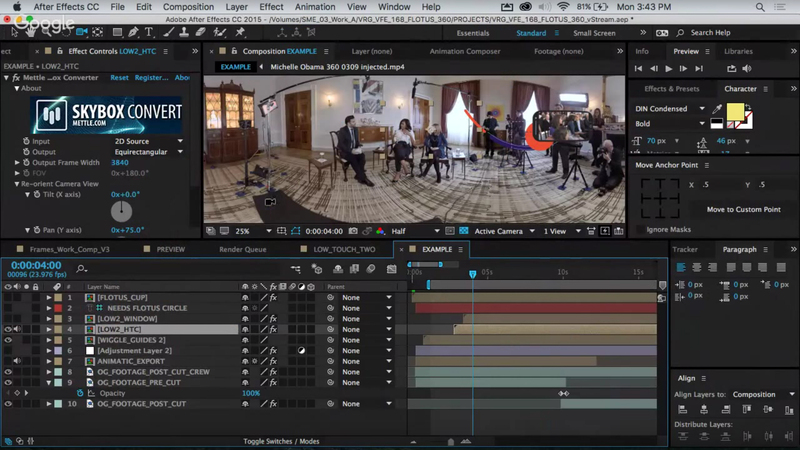 Brings View-based editing, a new faster and easier way to work in 360° in Adobe After Effects. 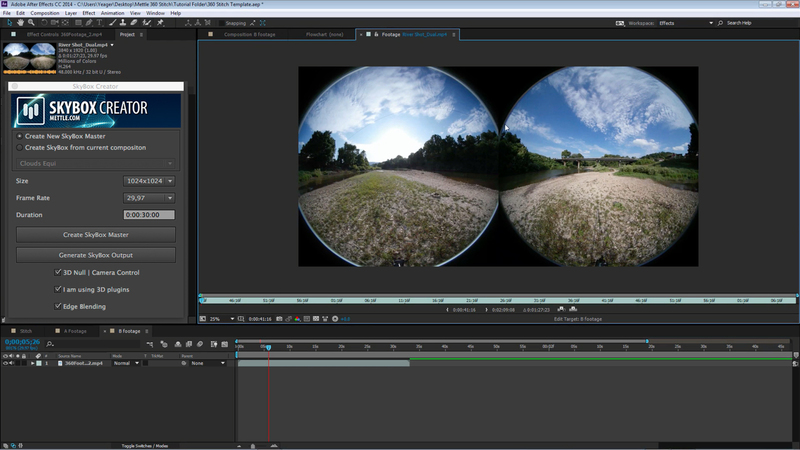 Simplify workflow, and now support Stereoscopic 1:1 Over/Under and 16:9 footage. 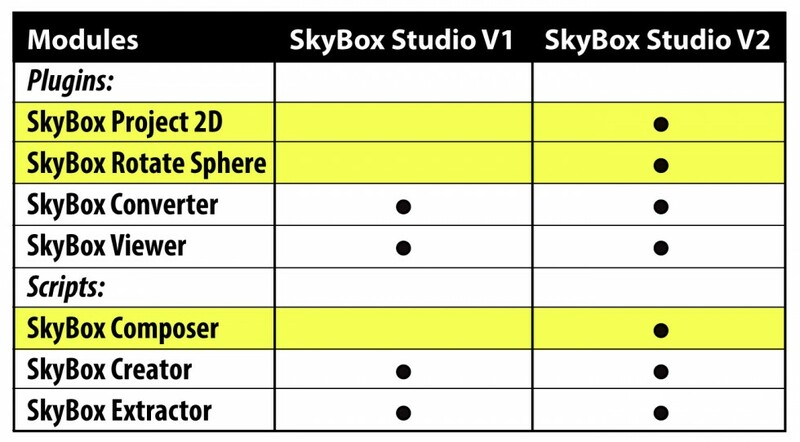 SkyBox Creator supports more formats: Fisheye (FullDome), Cube-Map Facebook 3:2, Cube-Map Pano 2VR 3:2, Cube-Map GearVR 6:1, Equirectangular 16:9. As well as Cube Map 4:3, Sphere Map, Equirectangular 2:1. Yes, it’s compatible with SkyBox Studio version 1. Your project files can be opened in SkyBox Studio version 2. There will be installer downloads available in customer accounts, for SkyBox Studio Version 1 and SkyBox Studio Version 2. 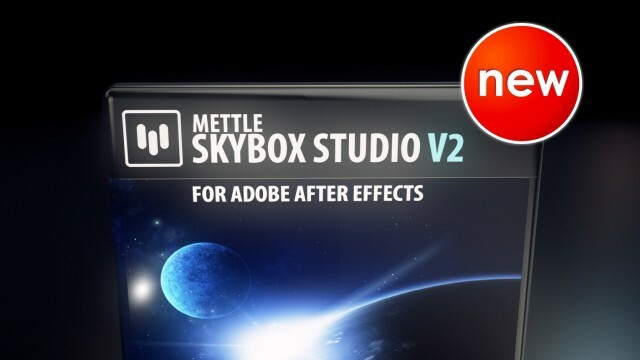 If you recently purchased SkyBox Studio 1, we will honour our promise that was posted on our website. Contact us through our support page for your free upgrade.